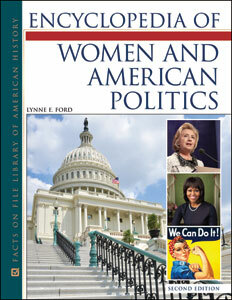 Encyclopedia of Women and American Politics, Second Edition contains all the material a reader needs to understand the role of women throughout America's political history. This informative A-to-Z volume contains hundreds of entries covering the people, events, and terms involved in the history of women and politics. Lynne E. Ford received her doctorate from the University of Maryland and currently teaches at the College of Charleston. An expert on women and politics, she is the author of the textbook Women and Politics: The Pursuit of Equality.